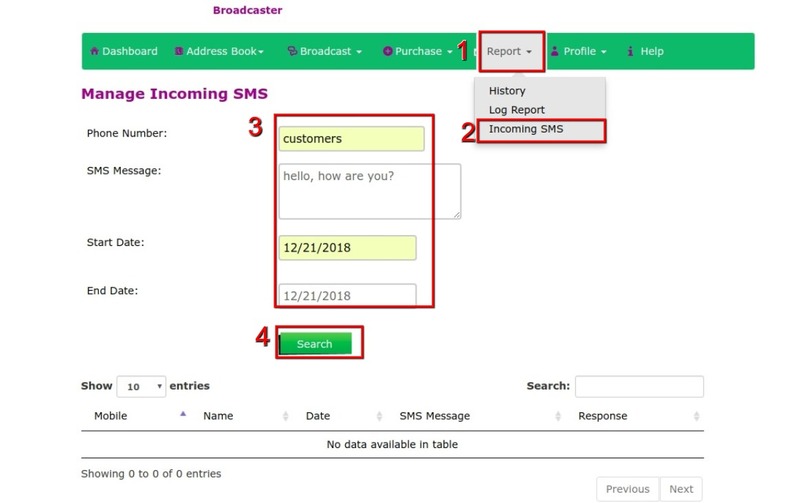 To view and manage incoming SMS (only if service activated on your account), click on “Report” on the menu. Choose “ Incoming SMS” from the drop box menu. Fill in the boxes, with the inquired information.